FDIC – The Insurance Buzz! We put our money in the bank to keep it safe. In the bank, it’s accounted for by the cent. It’s much more difficult for someone to steal your money from the bank than it is if it’s cash. Having cash in your home is particularly unsafe if there’s a fire. If we put it in the bank, though, we know exactly how much it is, how much we spend, and where we spend it. But what happens to our money if the bank is robbed or the bank makes a bad investment, costing money? This is precisely why we buy our own insurance coverage. Banks need insurance as well. 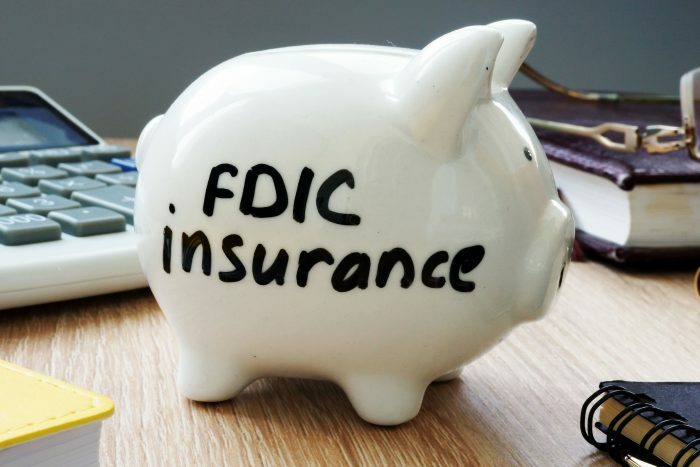 Banks are insured by the FDIC, or Federal Deposit Insurance Corporation. The FDIC is a government agency that has numerous responsibilities, the most well known being deposit insurance. The agency’s job is to protect bank consumers and the country’s financial system. The guaranteed financial support of the FDIC comes from the United States government. What is the purpose of deposit insurance? Banks use our deposited money to make investments to earn revenue. There is a risk that these investments can go wrong, costing the bank money as a result. This is a failure on the bank’s part, which is where deposit insurance comes into play. When the bank fails or runs out of money, the FDIC ensures that you get paid the money you had in the bank. How much will the FDIC pay? Similar to your average insurance policy, there are also limits for deposit insurance. The FDIC insures up to $250,000 per account holder. You are the account holder, and even if you have multiple accounts, you are only insured a total of $250,000 for that bank. What is not covered with this kind of insurance? Where does the FDIC get the funding? Insurance is generally funded by premiums. When you pay a premium for your auto insurance, that money goes into a big pool, combined with other insured’s money. The money is used to pay out on claims. The same goes for FDIC insurance. The banks with this insurance pay a premium, which pays out if the bank fails. Typically, taxpayers dollars are not part of this fund. However, if the loss of the bank is greater than the amount in the pool, the government may need to fall back on taxpayers money. Although nearly all banks are FDIC insured, they are not mandated to be.